Activision will bring Call of Duty Elite to all players without a price tag. The once premium service will cost gamers nothing once Call of Duty: Black Ops II launches later this fall. Call of Duty Elite brings all sorts of out-of-game content to fans so that they can mange their player, follow their own performances and connect with other gamers. Let's clear things up a little bit. Call of Duty Elite was, in this writer's opinion, essentially a version of Season Pass DLC with stat tracking, clan management and video features that should have been free for all. Two other massive multiplayer shooters, Halo and Battlefield, both offer up completely free and highly detailed stat tracking with their content. It's how they support their own community. Activision elected to offer the same thing for a price, and they decided to include DLC in that previous package. Now, Activision is doing what they should have done back then. One price for DLC in a Season Pass fashion, another price for DLC served "a la carte" and completely free statistic tracking. There will be five separate DLC packs; buy them together and ahead of time for $49.99, or spend $15 a piece as they release. The publisher is planning a lot for Black Ops II and Call of Duty Elite. Hit the "Show Press Release" button below to see all that the company forwarded to us. Or, you can watch the trailer above that accompanied the release in order to catch the major highlights. Call of Duty: Black Ops II will launch on November 13th for the Xbox 360, PlayStation 3 and PC platforms. It will launch on November 18th for the Wii U.
Santa Monica, CA – October 15, 2012 – With the launch of Call of Duty®: Black Ops II less than 40 days away, Activision Publishing, Inc., a wholly owned subsidiary of Activision Blizzard, Inc. (Nasdaq: ATVI), announced today that all of its Call of Duty® Elite service features for Call of Duty®: Black Ops II will be free when the blockbuster game hits worldwide on November 13. With Call of Duty Elite free for Call of Duty: Black Ops II, both new and veteran Call of Duty Elite members alike will be able to enjoy the full range of Call of Duty Elite's robust service and features integrated into the highly-anticipated new game in development by award-winning studio Treyarch. "We've learned a lot in our first year of Call of Duty Elite, and we're very proud that we over delivered on our commitment of playable content to our premium members," said Activision Publishing CEO, Eric Hirshberg. "What we have realized is that several of the Call of Duty Elite services which are currently only available to our premium members for Call of Duty®: Modern Warfare® 3 are things that would further unite, engage and delight our player community. So we are going to make them free for Call of Duty: Black Ops II." Supporting Call of Duty: Black Ops II, Activision will be selling four epic new Downloadable Content (DLC) Map Packs both á la carte and through the introduction of the Call of Duty: Black Ops II Season Pass. Coming to the Xbox LIVE® online entertainment network first, the four Call of Duty: Black Ops II DLC Map Packs will deliver a variety of new Multiplayer and Zombies playable content and are expected to be available in 2013. The Season Pass will deliver all four Call of Duty: Black Ops IIDLC Map Packs at a discounted suggested retail price of 4000 Microsoft Points* ($49.99 on Xbox LIVE Marketplace for Xbox 360® (discount based on four DLC Map Packs at a suggested retail price of 1200 Microsoft Points ($15) each). Season Pass pre-orders are now available at select retail outlets, including GameStop. Season Pass and DLC Map Packs may not be available on all gaming platforms. Pricing and release dates may vary by platform. All Call of Duty Elite features and availability are subject to change. Further details regarding the 2013 calendar of Call of Duty: Black Ops IIDLC Map Packs will be made available at a later date. Hirshberg continued, "For Call of Duty: Black Ops II, DLC Map Packs will be a separate offering from Call of Duty Elite. The Season Pass will be a great way to acquire all four Map Packs at a discount, but if our fans would rather take it one Map Pack at a time, then we'll offer each pack á la carte for anyone who wants it. What we aren't doing is requiring a paid membership to access the great player services for Call of Duty: Black Ops II and we're thrilled to offer all of Elite's Call of Duty: Black Ops II features to players for free." Today's news of Call of Duty Elite's free integration with Call of Duty: Black Ops IIfollows the recent reveal of several new multiplayer features that are in the works by Treyarch, including an all-new 'Pick Ten Create-a-Class' system, an added emphasis on eSports featuring CODcasting, and an all-new Score Streaks system. GameStop president Tony Bartel says, "Consumer anticipation for Call of Duty: Black Ops II is tremendous. We are seeing the highest pre-orders in history. With its current pace, thisCall of Duty is on track to break records and is likely to be our biggest game launch of all time." Player HQ – Track Call of Duty: Black Ops II performance with rich game statistics, including enhanced match information such as heat maps and recent match data; track challenges and extensively modify your classes like never before using Treyarch's new Pick 10 Create-a-Class system. Zombies Support – For the millions of Zombies fans out there, now you can track your Zombies personal statistics and compare it to other players' around the world. Social Sharing and Notifications – With Call of Duty Elite's new notification system, you can stay updated with what is going on in Call of Duty: Black Ops II, as well as communicate directly with your clan. 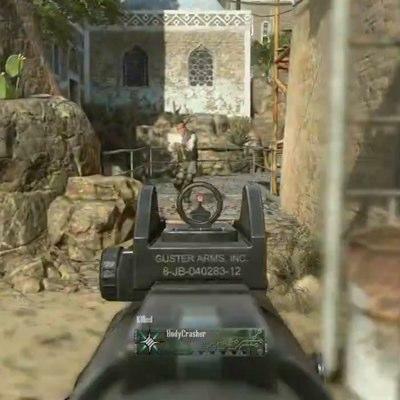 Call of Duty: Black Ops II launches worldwide on November 13, 2012, on the Xbox 360 video game and entertainment system from Microsoft, PlayStation®3 computer entertainment system, and Windows PC. The title is also expected to be released in North America on November 18, 2012, for the new Wii U™ game system from Nintendo. Call of Duty: Black Ops II is rated "M" (Mature – Blood and Gore, Intense Violence Strong Language, Suggestive Themes, Use of Drugs – content suitable for persons ages 18 and older) by the ESRB. More information on Call of Duty: Black Ops II can be found at http://www.callofduty.com/blackops2 or onwww.facebook.com/codblackops. Fans can also follow @Treyarch on Twitter. Existing Call of Duty Elite premium members will continue to enjoy the Call of Duty Elite Premium membership features for Call of Duty: Modern Warfare 3 through the end of their current subscription period. More information on Call of Duty Elite can be found at http://www.callofduty.com/elite or @Callofduty on Twitter. Call of Duty Eliteis developed by Beachhead Studio. Activision maintains operations in the U.S., Canada, Brazil, Mexico, the United Kingdom, France, Germany, Ireland, Italy, Sweden, Spain, Norway, Denmark, the Netherlands, Australia, South Korea, mainland China and the region of Taiwan. More information about Activision and its products can be found on the company's website,www.activision.com. Cautionary Note Regarding Forward-looking Statements: Information in this press release that involves Activision Publishing's expectations, plans, intentions or strategies regarding the future, including statements about the expected release date of Call of Duty: Black Ops II, are forward-looking statements that are not facts and involve a number of risks and uncertainties. Factors that could cause Activision Publishing's actual future results to differ materially from those expressed in the forward-looking statements set forth in this release include unanticipated product delays and other factors identified in the risk factors sections of Activision Blizzard's most recent annual report on Form 10-K and any subsequent quarterly reports on Form 10-Q. The forward-looking statements in this release are based upon information available to Activision Publishing and Activision Blizzard as of the date of this release, and neither Activision Publishing nor Activision Blizzard assumes any obligation to update any such forward-looking statements. Forward-looking statements believed to be true when made may ultimately prove to be incorrect. These statements are not guarantees of the future performance of Activision Publishing or Activision Blizzard and are subject to risks, uncertainties and other factors, some of which are beyond its control and may cause actual results to differ materially from current expectations. ACTIVISION, CALL OF DUTY, MODERN WARFARE, CALL OF DUTY MW3 and CALL OF DUTY BLACK OPS are trademarks of Activision Publishing, Inc. All other trademarks and trade names are the properties of their respective owners. Microsoft, Windows, Xbox, Xbox 360 and Xbox LIVE are either registered trademarks or trademarks of Microsoft Corporation. "PlayStation" is a registered trademark of Sony Computer Entertainment Inc. Wii U is a trademark of Nintendo. *This is a purchase of Microsoft Points for the Xbox 360 video game and entertainment system from Microsoft. Consumer may redeem the Points to download the Call of Duty: Black Ops II Season Pass or individual map packs via Xbox LIVE Marketplace for Xbox 360 or for other content available on the Xbox LIVE Marketplace.